These elite brokers have proven to be the best of the best, using their winning B.A.T. philosophy; Behavior, Attitude, and Techniques to be the best they can be. 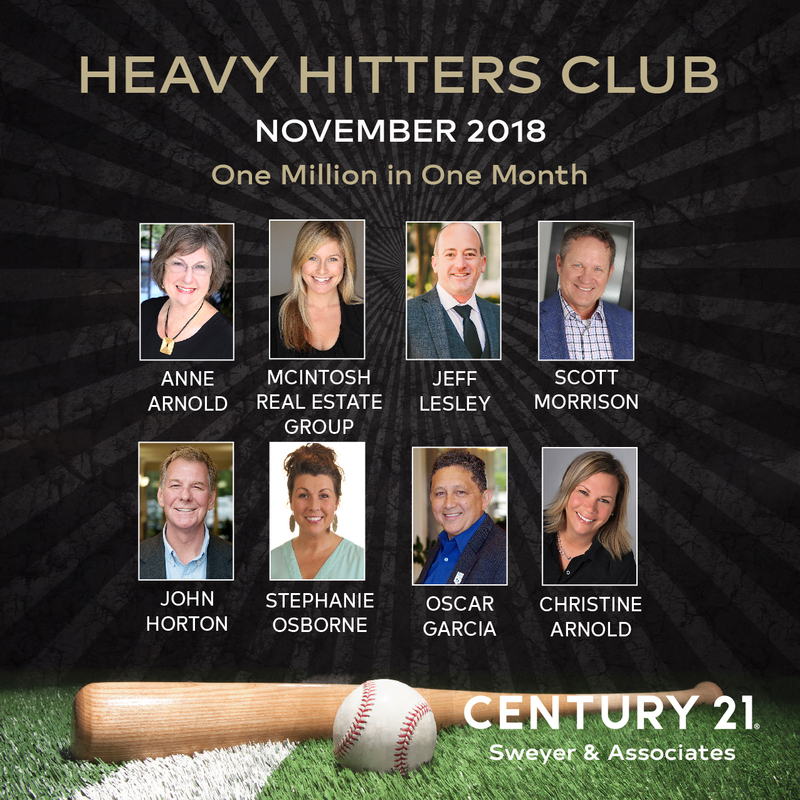 Membership into the CENTURY 21 Sweyer Heavy Hitter’s Club requires agents to sell at least one million dollars of real estate in one month. Members were presented with a customized black and gold engraved bat to acknowledge their achievements. “They exemplify the true meaning of professionalism, understanding the importance of giving top notch service to their clients. We couldn’t be more proud of their accomplishments and their commitment to excellence!” said Jeff Sweyer, owner of Century 21 Sweyer & Associates.